After several tireless days we have finished crunching the numbers from nearly 750 13F filings issued by the elite hedge funds and other investment firms that we track at Insider Monkey, which disclosed those firms’ equity portfolios as of December 31. The results of that effort will be put on display in this article, as we share valuable insight into the smart money sentiment towards Motorola Solutions Inc (NYSE:MSI). Motorola Solutions Inc (NYSE:MSI) investors should pay attention to a decrease in hedge fund sentiment recently. 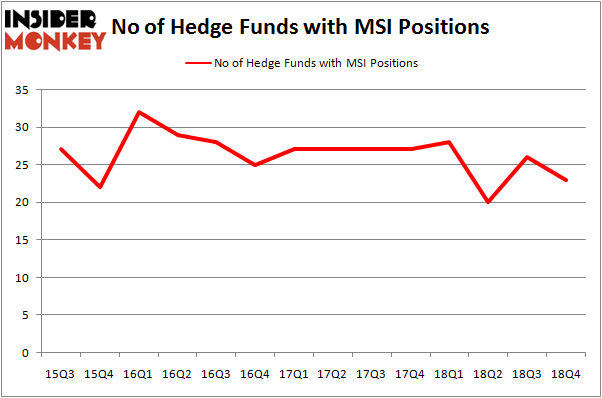 Our calculations also showed that MSI isn’t among the 30 most popular stocks among hedge funds. We’re going to review the new hedge fund action encompassing Motorola Solutions Inc (NYSE:MSI). What have hedge funds been doing with Motorola Solutions Inc (NYSE:MSI)? At Q4’s end, a total of 23 of the hedge funds tracked by Insider Monkey were long this stock, a change of -12% from one quarter earlier. By comparison, 28 hedge funds held shares or bullish call options in MSI a year ago. So, let’s examine which hedge funds were among the top holders of the stock and which hedge funds were making big moves. 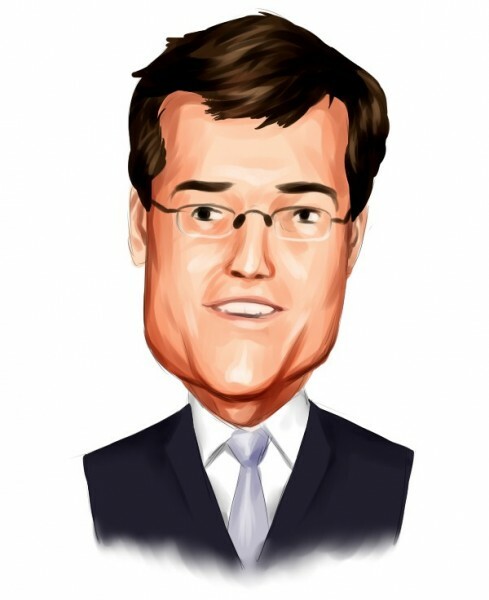 When looking at the institutional investors followed by Insider Monkey, D E Shaw, managed by D. E. Shaw, holds the largest position in Motorola Solutions Inc (NYSE:MSI). D E Shaw has a $129.5 million position in the stock, comprising 0.2% of its 13F portfolio. Sitting at the No. 2 spot is Arrowstreet Capital, managed by Peter Rathjens, Bruce Clarke and John Campbell, which holds a $98.5 million position; 0.3% of its 13F portfolio is allocated to the stock. Remaining members of the smart money that hold long positions consist of Philippe Laffont’s Coatue Management, Ken Griffin’s Citadel Investment Group and Phill Gross and Robert Atchinson’s Adage Capital Management. Seeing as Motorola Solutions Inc (NYSE:MSI) has witnessed a decline in interest from the entirety of the hedge funds we track, it’s easy to see that there were a few hedgies that decided to sell off their positions entirely in the third quarter. Interestingly, Jeffrey Talpins’s Element Capital Management cut the biggest stake of all the hedgies tracked by Insider Monkey, valued at an estimated $20.9 million in stock, and Christopher Lord’s Criterion Capital was right behind this move, as the fund said goodbye to about $16.1 million worth. These transactions are intriguing to say the least, as aggregate hedge fund interest fell by 3 funds in the third quarter. Let’s check out hedge fund activity in other stocks similar to Motorola Solutions Inc (NYSE:MSI). These stocks are Realty Income Corporation (NYSE:O), Northern Trust Corporation (NASDAQ:NTRS), Edison International (NYSE:EIX), and Sasol Limited (NYSE:SSL). This group of stocks’ market caps are closest to MSI’s market cap. As you can see these stocks had an average of 22.5 hedge funds with bullish positions and the average amount invested in these stocks was $523 million. That figure was $589 million in MSI’s case. Northern Trust Corporation (NASDAQ:NTRS) is the most popular stock in this table. On the other hand Sasol Limited (NYSE:SSL) is the least popular one with only 7 bullish hedge fund positions. Motorola Solutions Inc (NYSE:MSI) is not the most popular stock in this group but hedge fund interest is still above average. Our calculations showed that top 15 most popular stocks among hedge funds returned 19.7% through March 15th and outperformed the S&P 500 ETF (SPY) by 6.6 percentage points. Hedge funds were also right about betting on MSI as the stock returned 22.7% and outperformed the market as well.